Renata Neeser | Littler Mendelson P.C. Renata Neeser provides comprehensive labor and employment solutions to multinational clients, with a depth of experience in both New York and Brazilian labor and employment law. She regularly advises foreign companies as they navigate U.S. employment laws, with a particular focus on executives. 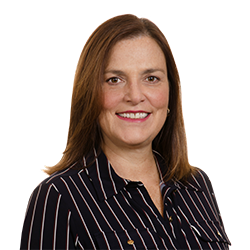 Renata also advises foreign and domestic companies on the employment aspects of M&A and other business restructurings, as they relate to the hire, transfer and termination of executives. In addition to counseling, Renata focuses her practice on the drafting and revision of sophisticated contracts, such as sales and purchase agreements, retention and severance plans and agreements, and employment contracts covering the full life cycle of employment, from NDAs and noncompetes to arbitration agreements, separation agreements and general releases, among others. Renata also counsels American clients on a wide variety of international employment law matters, including the local applicability and implementation requirements of global policies, such as codes of conduct, ethics, discrimination and diversity policies, as well as outsourcing, expatriation and employee classification issues. Additionally, Renata is a go-to resource for clients across the country and around the world on Brazil-specific labor and employment matters. With years of practice in Brazil and New York, Renata is uniquely positioned to provide HQs with sensible advice on their Brazil operations. Classifying Your Sales Staff Working in the Americas: Are They Exempt Employees? Employment Aspects To Consider Before Transferring Employees To Latin America And The U.S.